This months SECA meeting will be held Wednesday Nov 2 at 7:00 PM, Princess Royal School, corner Fahrquar and Irwin. Who is that Roaming in the Dark?? 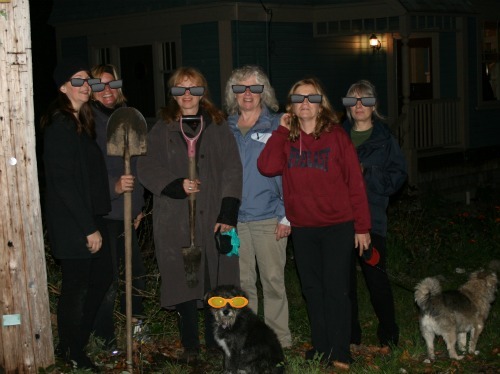 Members of the Secret Society of Fern Filchers successfully skulked about the neighbourhood last night, planting upwards of 300 bulbs. Thanks to everyone who came out to dig, thanks to the weather gods for keeping us dry, and thanks to all those who bought, gathered, and/or dropped off bulbs on my doorstep – you know who you are! Get ready Nanaimo! More than 90 merchants are getting ready to host the ever-popular Downtown Trick or Treat extravaganza on Saturday, October 29 from Noon to 3 pm. Participating merchants will have orange and black balloons tied to their doors and will be located throughout downtown including the Commercial Street and Victoria Crescent areas, the Waterfront and Old City Quarter. 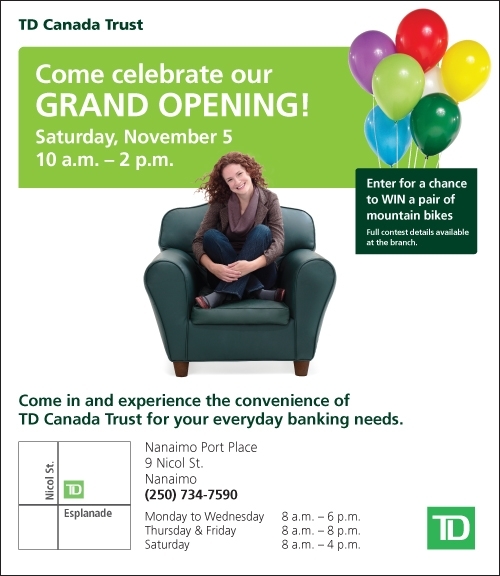 Maps, free bags for trick or treaters and other information will be available at the DNBIA tent in Diana krall Plaza. New this year is the Halloween Pet Parade where the public is invited to dress up their pets in outrageous costumes and bring them down to Diana Krall Plaza starting at 12:30 pm. The parade starts at 1 pm and prizes will be awarded for Best Pet/Owner Look-a-Like, Best Costume and for the winner of the hilarious Bobbing for Wieners Contest. Donations will also be accepted for the Nanaimo Chihuahua Rescue Society, and pet costumes can be purchased at Quintessential Accessories at #2 Commercial St., where owner Carla Samson will also donate partial proceeds to the society. There will also be live entertainment this year including Iris, an eight year old female-fronted power house rock, reggae and funk band that harbours members from such bands as Wunderbread, 57 Monkey’s Audio Therapy and Doug and the Slugs. Band members are Jona Kristinsson, Tony Jenks, Brian Kehoe and Todd Michell. Also playing the Downtown Trick or Treat is the youth band, 10XBETTER, from the Nanaimo Youth Services` Tune In Program led by Kristinsson. From 2-3 pm, trick or treaters can head into the Harbourfront Library to hear some scary stories, sing songs and do crafts…all perfect pastimes for the season of ghosts, goblins and ghouls. This Halloween come Downtown for the best Trick or Treating this side of Transylvania! This event is brought to you by the Downtown Nanaimo Business Improvement Association. For more information, visit dnbia.ca or call 250-754-8141. I wanted to extend an invitation to you to help get the south end garden ready for winter. This coming Tuesday October 25th we are looking to assemble at the corner or Irwin and Needham at 3:30. There is some work to be done with the last of the harvesting and we also plan to build a compost bin. For those interested in being a part of the gardens for the 2012 growing year we will also discuss our next steps as a community garden.